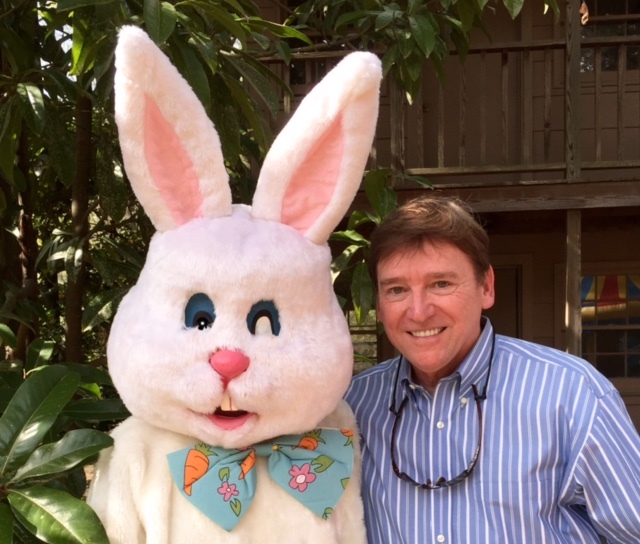 I'm not sure what's going on with the Easter Bunny's left eye, but it was indeed a Happy Easter event at our neighborhood Easter Egg Hunt today. Our organizers for 2016 didn't have an area roped off for egg hunters in the 40-plus crowd, but there was plenty of socializing to make up for that slight. Anyway, I never was any good at finding Easter eggs. It is a special Easter for me, and I hope for you, too. The weather through Saturday of this spiritual weekend in Jackson, Mississippi, is beautiful; my wife and I have had a chance to relax and enjoy our home; our two kids are busy and happy; and (Of course, only a writer would include this one) I have finished the draft of my fifth novel, "When the Bee Stings."